In 1987, off-the-grid punk agitator Larry Livermore began documenting the burgeoning DIY East Bay punk rock scene with the newly founded Lookout Records. He had no idea this little label, first run out of his solar powered cabin in the Northern California mountains, then a cramped room in the backstreets of Berkeley, would rise to international prominence, introducing the world to the likes of Green Day, Operation Ivy, and a host of other artists. 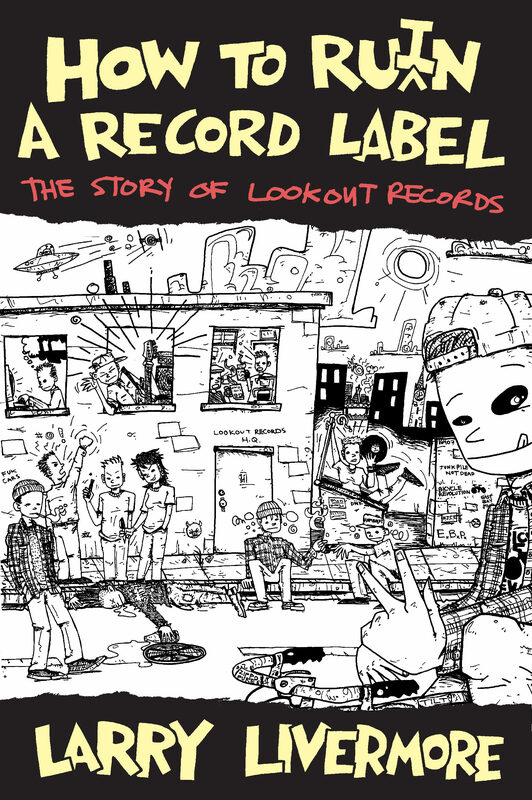 How To Ru(i)n A Record Label documents the author's experiences from Gilman Street to Bialystok, Poland, as he built Lookout from the ground up, only to find himself losing control of the label a mere ten years later, and abruptly walking away from the multi-million dollar company when it was at its peak of success. Throughout that time, however, he was central to the influential scene that gave birth to Gilman Street, Maximum Rocknroll, and a new generation of independent music that has had an everlasting effect on both the underground and mainstream. In the process, he just might even have found himself. Larry Livermore was the co-founder of Lookout Records, the editor and publisher of Lookout magazine, and a longtime columnist for Maximum Rocknroll and Punk Planet. His first memoir, Spy Rock Memories, was published in 2013 by Don Giovanni Records. He lives in Brooklyn.